Over the last few weeks I’ve taken you through some of the most incredible ancient temples in the world, the Temples of Angkor. 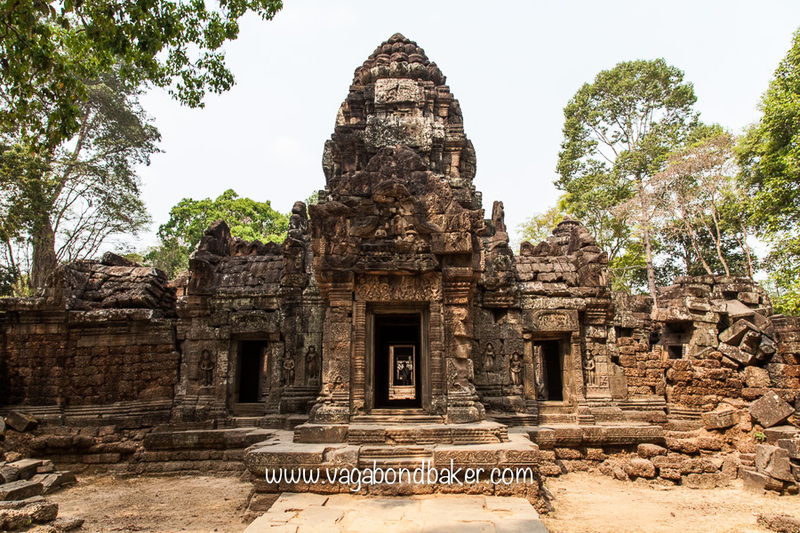 I’ll conclude the series with a photo journey through the rest of the temples in the Angkor Archaeological Park that we explored, read on for seductive, wanderlust-creating photographs to tempt you to the jungles of Cambodia. The suffocating tree roots, entwined around the hoary masonry of Ta Prohm are irresistible to photograph, although you will probably have to wait patiently for a people-free moment, the tour groups are drawn to Ta Prohm like wasps to lemonade. 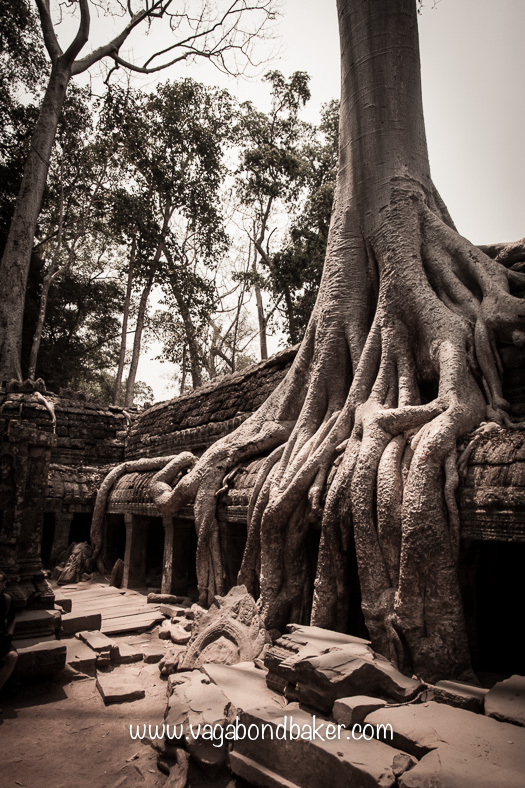 But Ta Prohm is more than an encroaching jungle…. 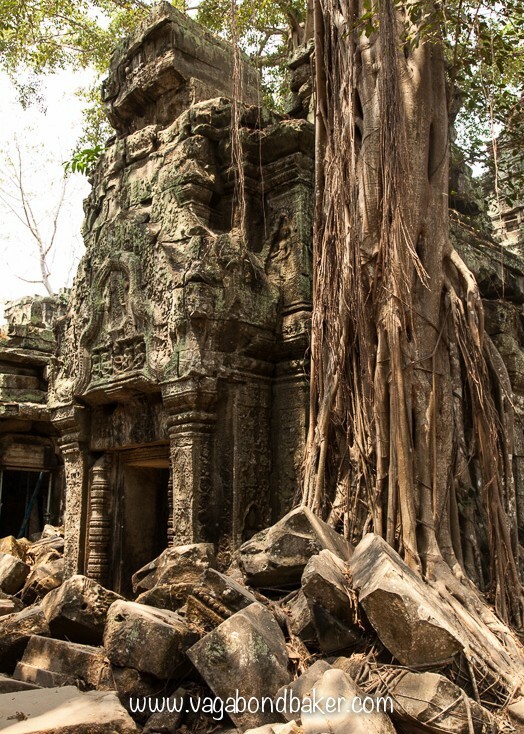 Ta Prohm was a celebrated filming location from the Angelina Jolie movie Tomb Raider, did they leave everything as they found it? 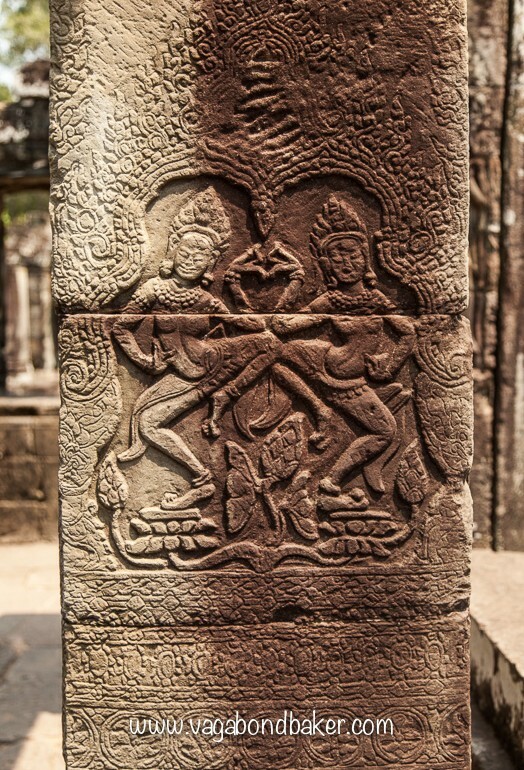 An apparent dinosaur carving on one of the doorways is most intriguing, did the old Angkorians really know about dinosaurs? or is it a modern hoax? 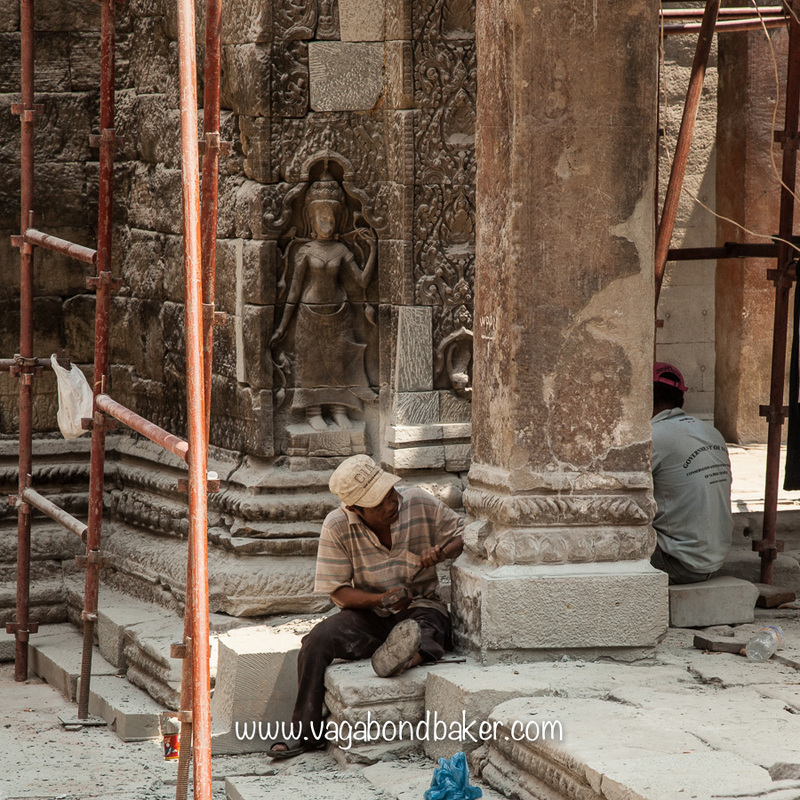 Ta Prohm is currently being heavily restored, quite a few of the trees have been cut back and there are artisans crafting new masonry. I found it somewhat heartbreaking to explore this temple on a return visit, six years after the first. This enchantingly ruined temple is loosing its magic with every lost tree and every new brick. 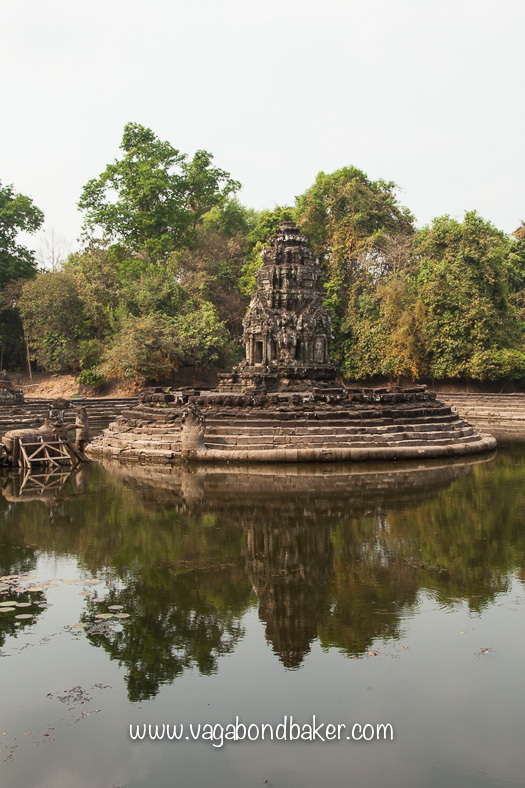 To the north of Ta Prohm is a curious little lake temple, Neak Poan. An island temple on a shimmering mirror. 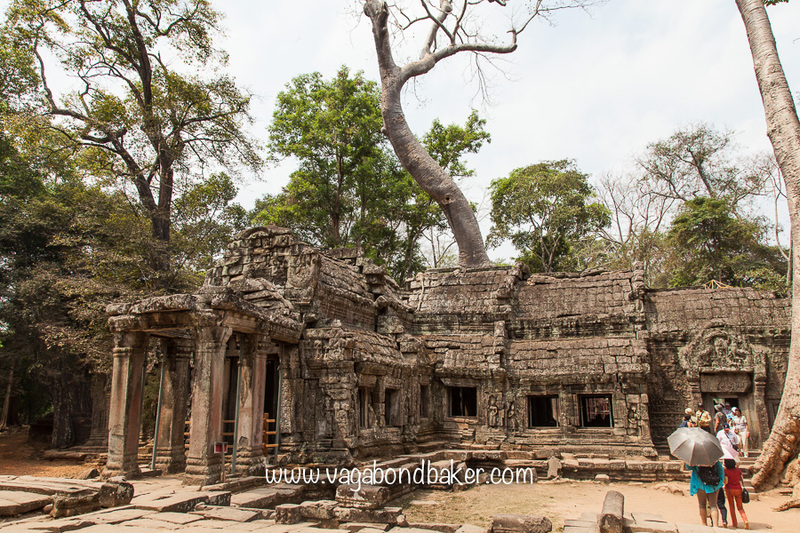 Further along is the wonderful temple of Ta Som, a compact version of Ta Prohm without the crowds. 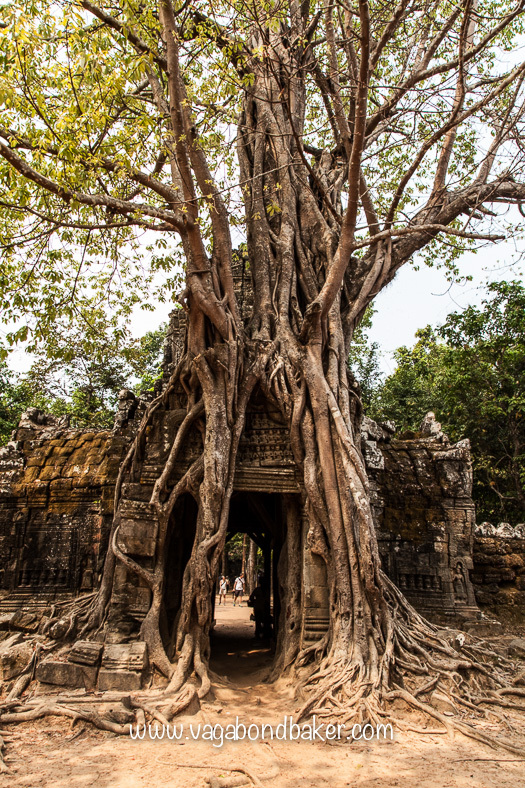 The eastern gateway has been entirely engulfed by a ficus tree, a spectacular entrance to the temple. 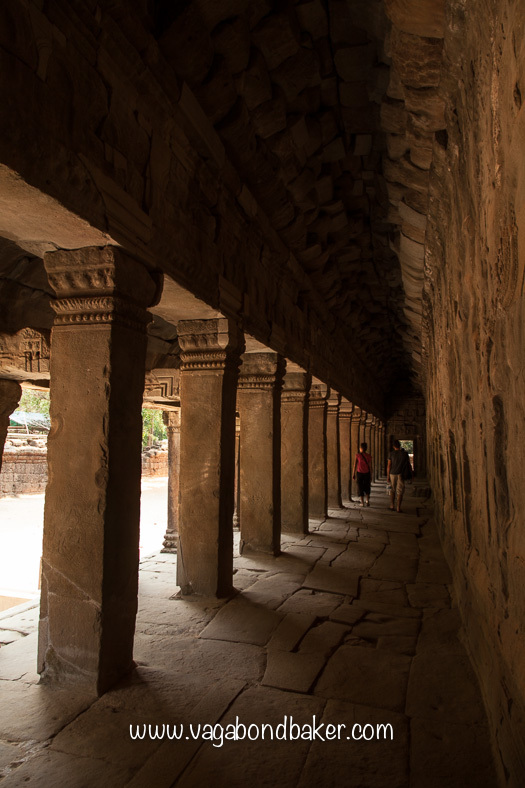 Within the enclosing walls the temple is beautifully decorated with fine carvings and dark corridors draw you through. 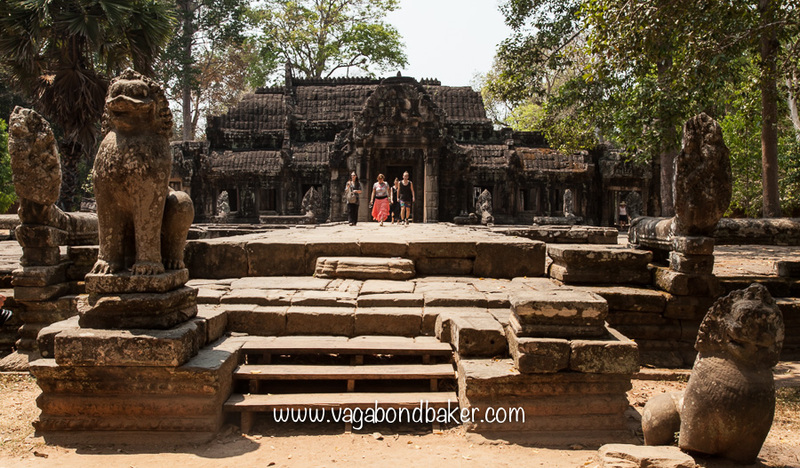 One of my favourite temples is the rambling Banteay Kdei, a walled monastery with a grand entrance opposite the royal bathing pool of Sra Srang. 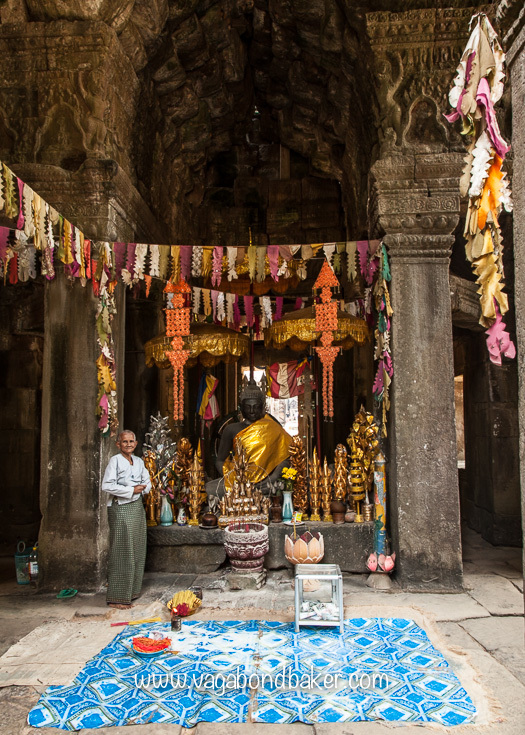 The temple at its heart is a riot of colour, fragrant incense beckons you to here. The temple is still very much in use today. A wonderful thing to experience among the ruins. 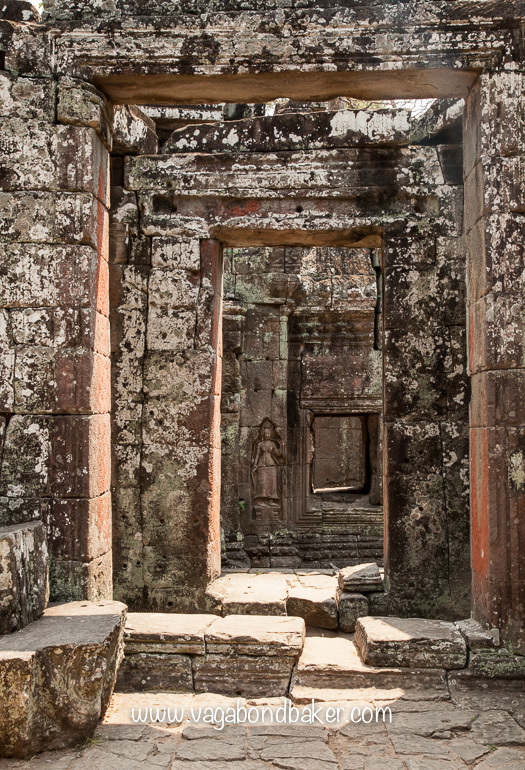 Banteay Kdei is a quiet temple, there are less crowds and its endless corridors and many doorways absorb those who are exploring. The detail of the bas reliefs are beautiful and this quiet temple is a pleasant place to potter, to explore unhurriedly. Before you cross over the road to Sra Srang to a heckle of calls for water and coke. Sra Srang’s stone steps are a great place to watch the sunset, during the day you can simply marvel at the huge construction of this ancient reservoir. 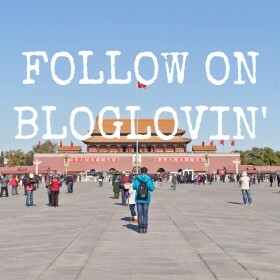 some of those stairs are impossibly steep! 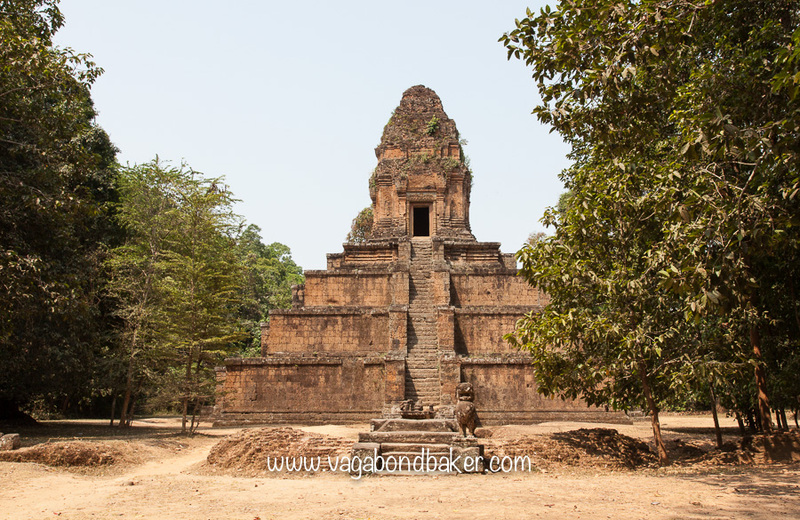 Baksei Chamkrong near Angkor Thom is well worth a quick stop if you are cycling past, surely you want to know what’s inside that tower? 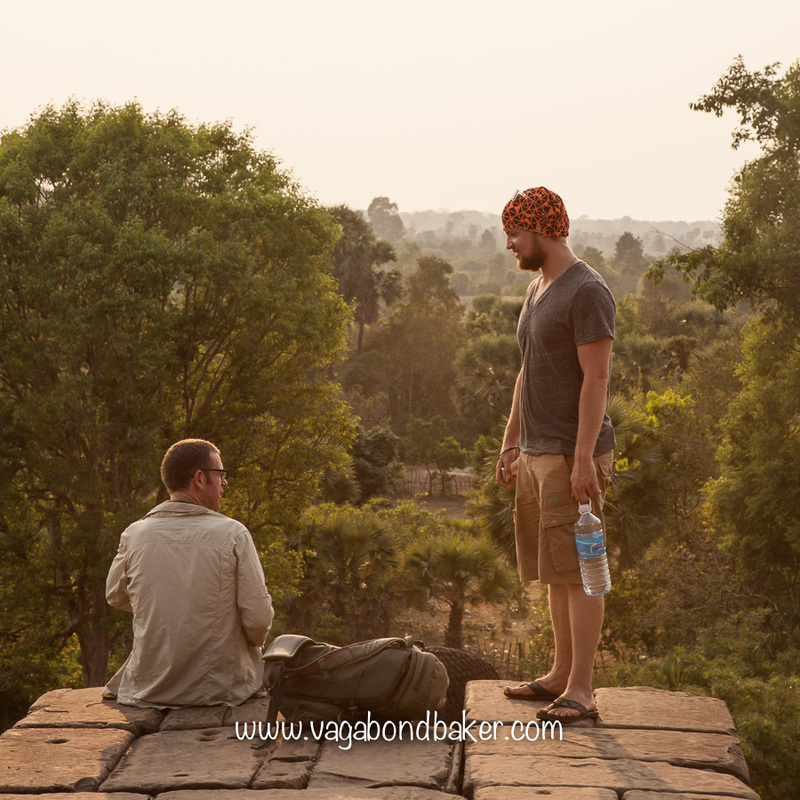 There are many options for where to experience the sunset, Angkor Wat, Sra Srang, Phnom Bakheng hill. 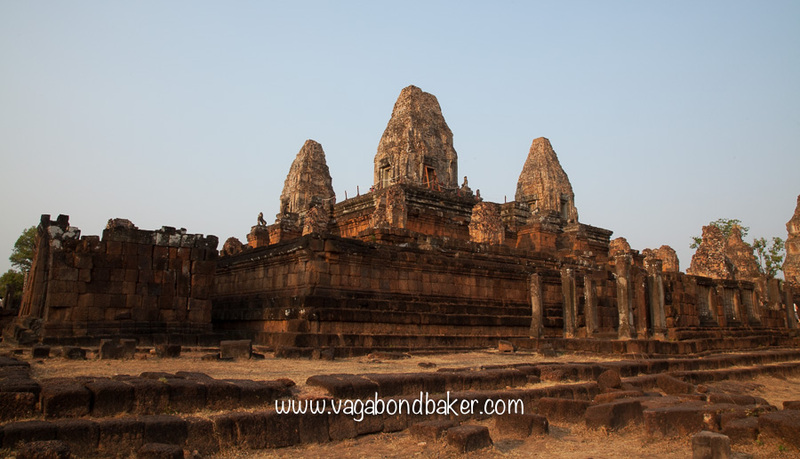 One evening we chose Pre Rup, a red-brick temple on the outer route. 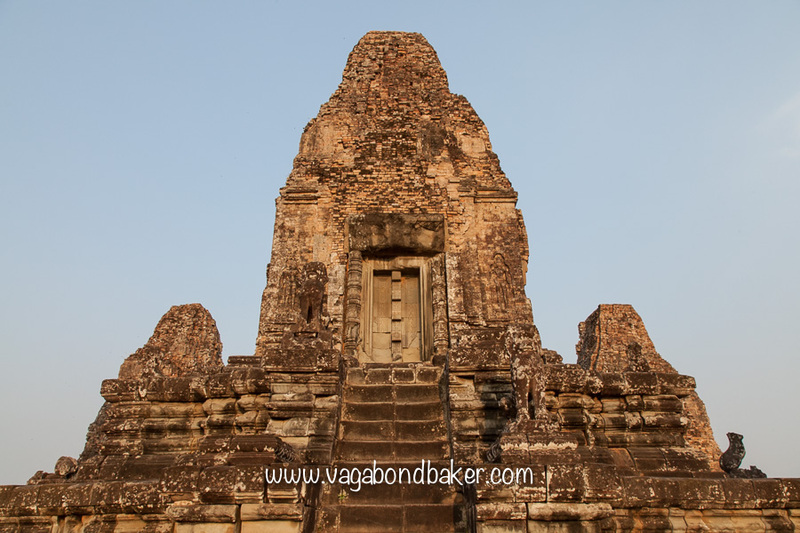 As the sun dropped low in the sky it cast a wonderful golden glow on Pre Rup. 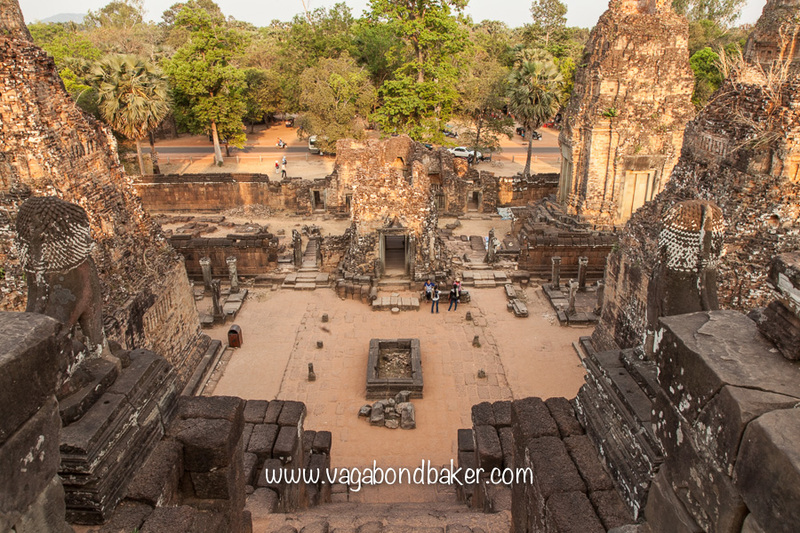 We weren’t alone, the top platform of the temple was tight with people, there to witness an Angkorian sunset. Nevertheless we arrived early enough to claim a prime viewing spot looking out across the jungle. I’ve been to more spectacular sunsets but sat on the warm stone with friends, as the day drew to a close, was a joyful experience, even if the flaming sun was suddenly extinguished by low cloud before it had chance to paint the sky. 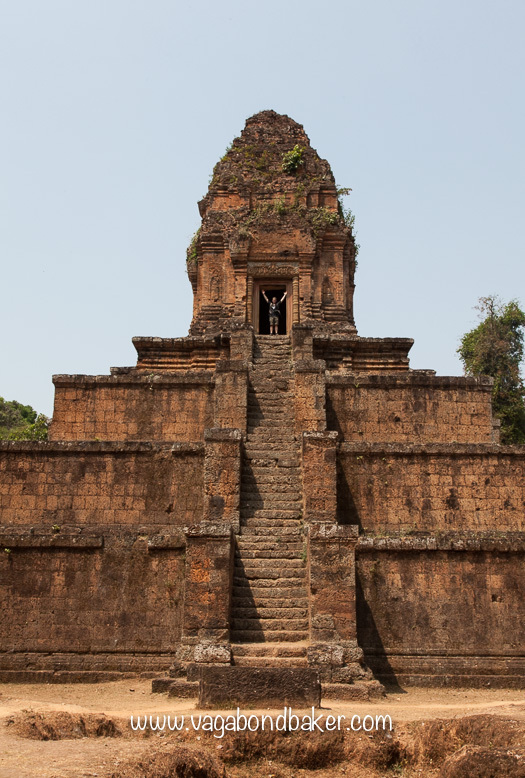 So that concludes this current series of posts about the Temples of Angkor. 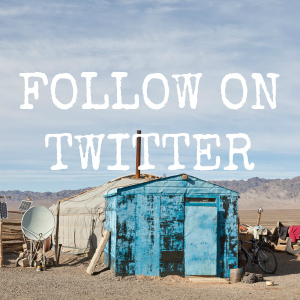 I hope they have filled you with wanderlust and travel ideas. 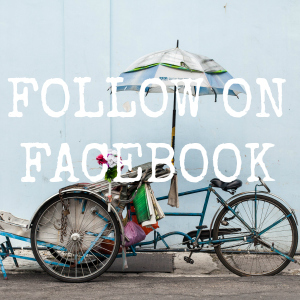 How To Travel By Train From Siem Reap to Bangkok. The slow, cheap and wonderful train to Thailand. 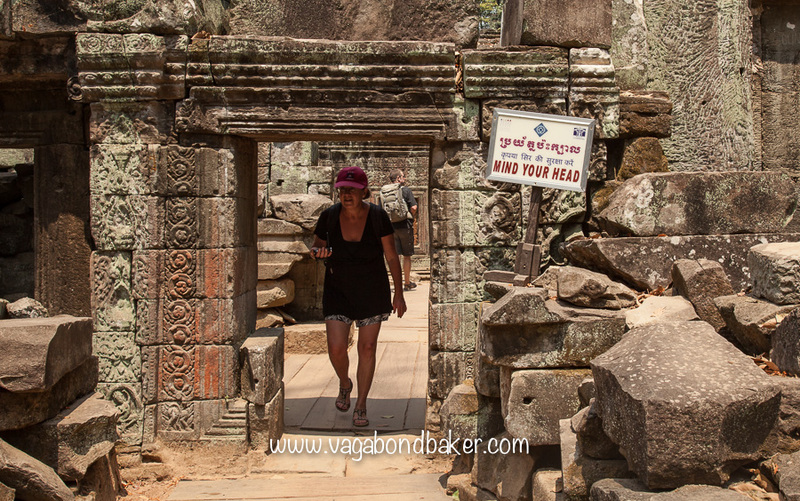 Sublime Smiles and Long Corridors: Angkor Thom and Preah Khan. 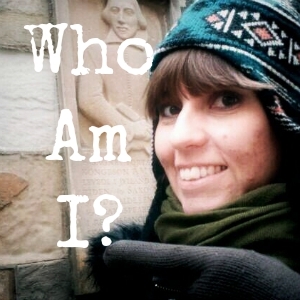 Those enigmatic faces of Bayon! 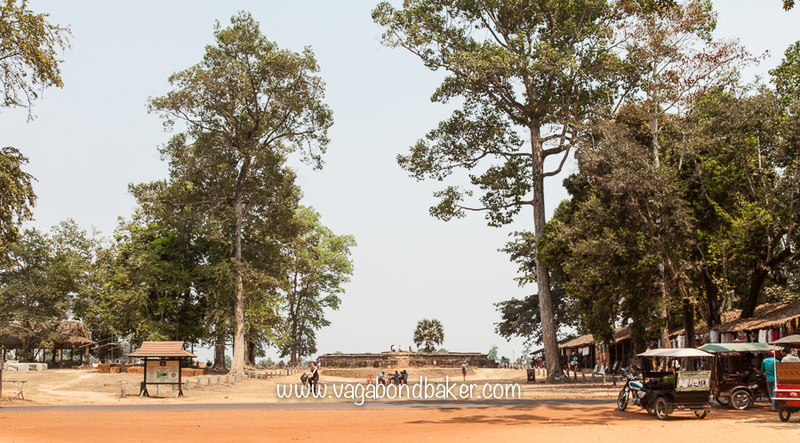 Banteay Srei and The River Of A Thousand Linga The most beautiful temple of all and the river where it all began. 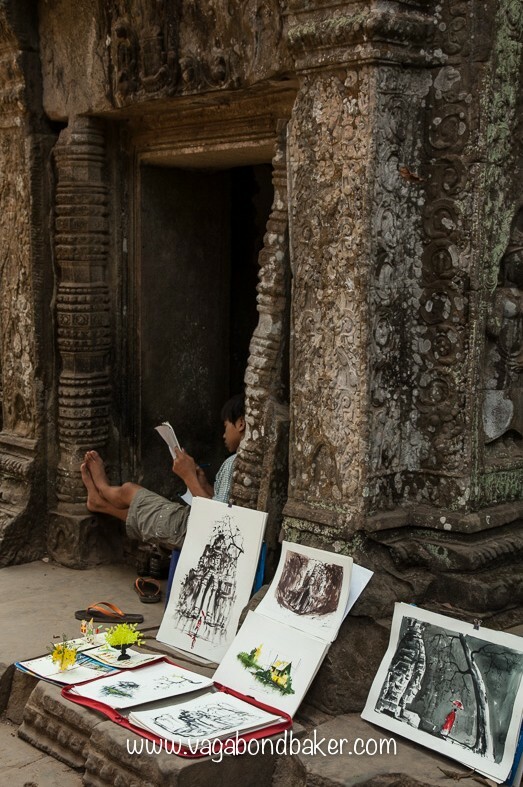 Have you got amazing photographs of the Angkor temples? 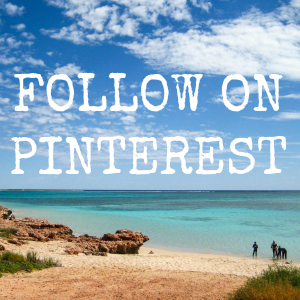 Leave a comment and a link below, we’d all love to see them!